Microsoft has released Windows 10 Insider Preview build 10166 to Windows Insiders on the Fast Ring. Microsoft has not introduced any major features with this build, but has made several minor changes and feature tweaks in preparation of the July 29 release date. 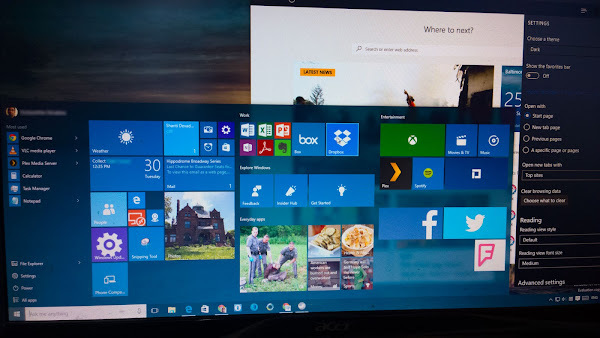 [UPDATE] Microsoft has announced that they are temporarily suspending the availability of Windows 10 preview builds in preparation readying the public release of Windows 10 on July 29. The update includes a new Microsoft Wi-Fi app for Windows Insiders in the Seattle area to test. This app allows users to purchase and use paid Wi-Fi through the Windows Store, when they need quick access to Internet. You will know when you can purchase Wi-Fi when you see “Buy Wi-Fi from Windows Store” in your list of networks when clicking on the network icon on the lower right in the Taskbar. The Microsoft Wi-Fi app provides the choice to pay with a Credit or Debit Card, a Microsoft Gift Card, or PayPal. The purchase will be carried out through the Windows Store, so you wont need to input additional information, and Microsoft promises your data will stay safe. Microsoft also hopes to expand this feature to the rest of the U.S.
Additionally Microsoft has also released a corresponding Windows 10 SDK preview release alongside the new build. Developers can read the full-change log and learn about the new features on Building Apps for Windows blog. After the build downloads, your machine will begin to install 10166. Once the installation is complete, you should be running the latest version of Windows 10 for Insiders.